365 Days with Mary features a different devotion to Our Lady associated with a solemnity, feast day, patronage, apparition or miraculous icon exactly related to that date. Each day reveals beautiful artwork and a historical dscription that highlights a famous or unique title of Mary. 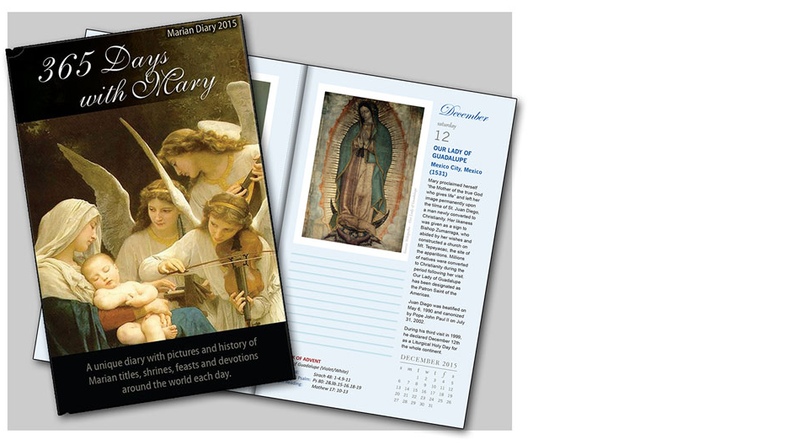 With sufficient writing space to add your own prayer, reflection or events for that day, you will be able to live each day in the celebration of your own personal Marian Year. There is no other Marian book like it. Available Now.